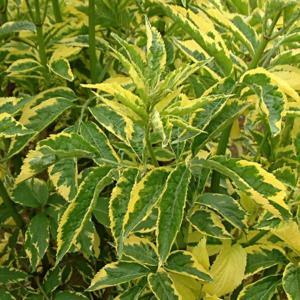 Leaflets are dark green with irregular bright yellow margins. Slower growing and smaller than the species. White flowers followed by clusters of black berries.